This summer’s comic celebration season kicks off Memorial Day weekend with Phoenix Comic Fest. And believe me when I tell you that there is an abundance of things to see and do all weekend long! Being excited and wanting to do so many awesome things, sometimes we can forget to take care of ourselves. We want to remind you to recharge those power packs and offer some helpful hints on surviving Phoenix Comic Fest. STAY INDOORS. While Phoenix Comic Fest features a few fun outdoor activities such as Fest on Adams St., bands, outdoor performances, and the car show, it’s always best to spend as little time outside in the heat as possible. Fortunately, the Phoenix Convention Center is always well air-conditioned! The sky bridge and exhibitor hall floor span the north and west buildings too, so there is no need to set foot outside at all! EAT SOMETHING. No, seriously. Eat something. With the adrenaline rush from all the fun at Phoenix Comic Fest, it is very easy to forget to eat a full meal. It’s always a good idea to bring some snacks along with you in case you don’t want to stop and sit down for a full meal. I recommend small, easy to pack items like protein bars for this one. While the convention center does have a full food court, it gets insanely crowded during the convention. Better to spend your money at one of the local restaurants downtown. If you’re looking to save some cash, the Cityscape on 1st St. and Washington has a Five Guys, Jimmy Johns, Chipotle, Starbucks, and many other affordable restaurants and is only a short walk or a quick light rail ride away. 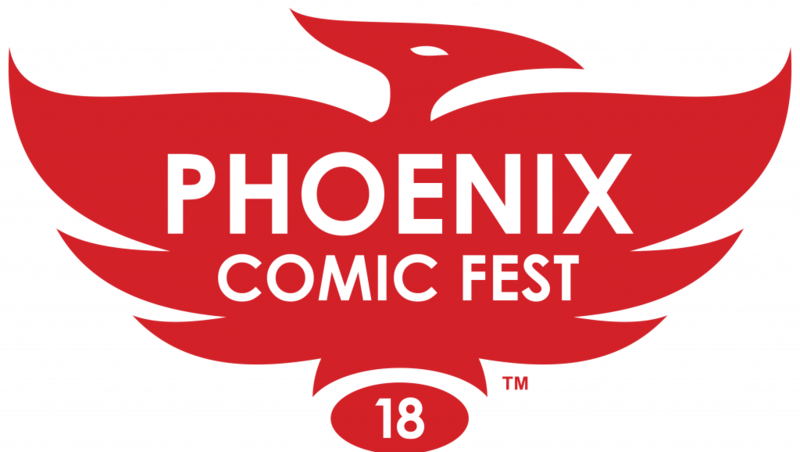 You can find Bookmans at Phoenix Comic Fest this year at Booth L-2 AND in the Kid’s Activity Area. Stop by to try your luck and win some incredible Bookmans swag or take home a new book today! Be on the lookout for Book Man roaming the con’s halls too – he’s got tons of fun for everyone!